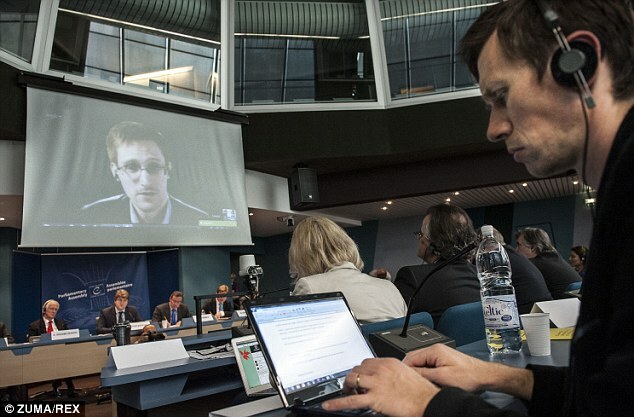 he U.S. government spied on major human rights groups such as Amnesty International and Human Rights Watch, the whistleblower Edward Snowden has claimed. 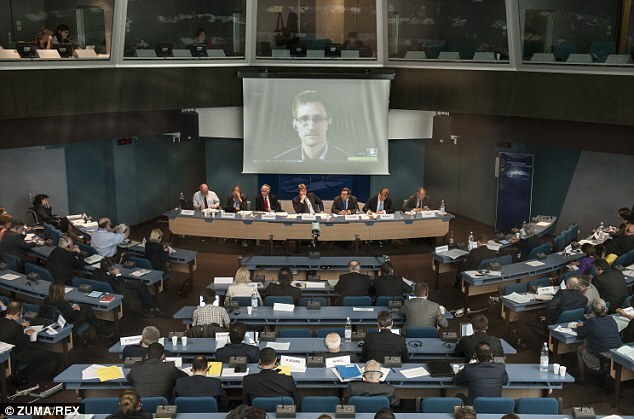 He told Europe’s largest human rights watchdog that the National Security Agency had ‘specifically targeted either leaders or staff members’ in a large number of groups. 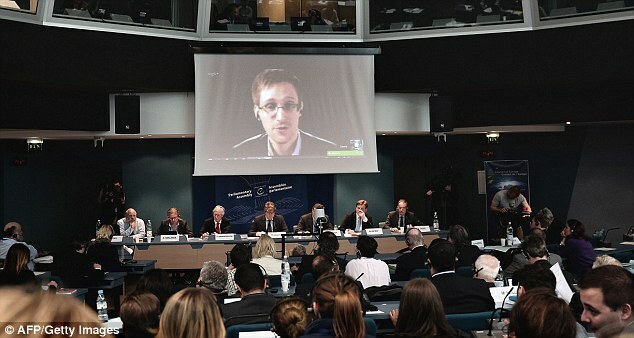 Mr Snowden’s evidence – via video link from Moscow, where he has been in hiding since last year – came as he mocked claims he had taken 1.7million documents as a ‘scare number’ with no meaning. 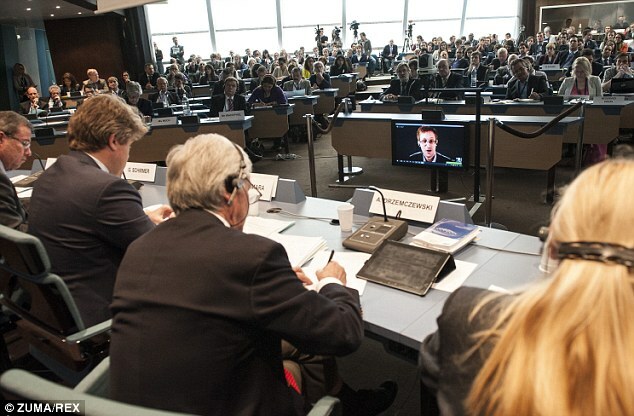 The NSA whistleblower spoke for more than an hour to the Council of Europe, a human rights group with 47 member states. Despite the changes which had been made because of his revelations, he said: ‘I remain in a position of significant legal jeaopardy’. He was then asked if the U.S. had tracked ‘highly sensitive and confidential communications’ of groups including – but not limited to – Amnesty International and Human Rights Watch. He told council members: ‘Without question – yes, absolutely they do. In an interview before the hearing, the whistleblower – whose first claims emerged in June last year – said U.S. officials were exaggerating when they said he stole 1.7million documents. He added: ‘Every single one of those officials knows I don’t have 1.7million files, but what are they going to say? 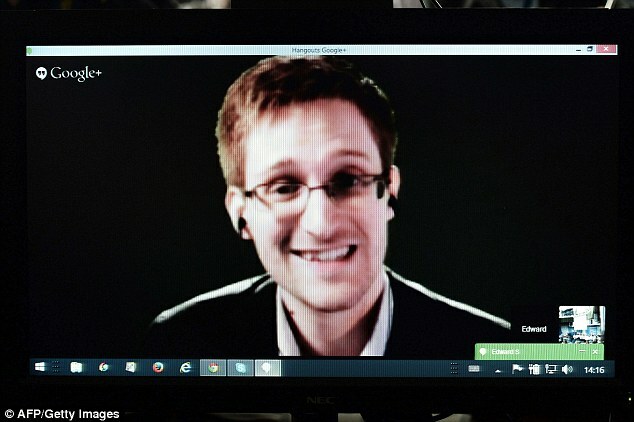 Mr Snowden, 30, left his job as an NSA contractor and fled to Hong Kong before his revelations on mass surveillance were first published last summer. When charges were filed against him he left Hong Kong for Moscow, where he was trapped in the Russian capital’s airport for more than a month before being granted temporary asylum. Yesterday’s hearing in Strasbourg saw several council members criticise U.S. tactics and call for an end to indiscriminate data collection. It came on the day the European Court of Justice struck down EU data protection rules, saying they caused ‘particularly serious interference’ with the right to a personal life and personal data. 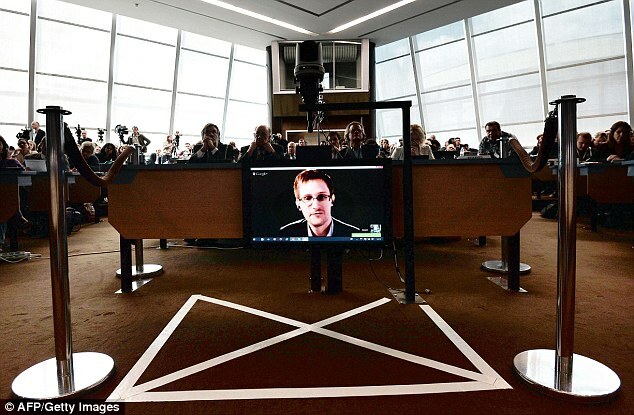 In his evidence Mr Snowden also criticised the British spy agency GCHQ, and reminded members the NSA collected countless explicit images – including from webcams. Anger: Several members of the council used the platform to condemn mass surveillance by the U.S.
People’s sexual orientation was already being collected without their knowledge, with horrific potential consequences if an authoritarian regime obtained the same technology. He gave the example of making a list of ‘all the Christians in Egypt’. 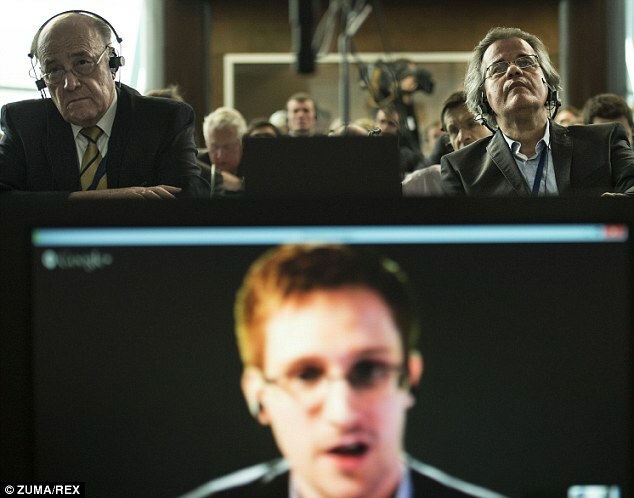 The court in the U.S. which approved data access was held in secret and was unaccountable to the public, he added. ‘Human rights can only be protected if we ensure that our laws have a clear meaning and the meaning of the words within those laws can not be secretly interpreted by any legal body or intelligence agency without the public’s consent,’ he said. The council invited the White House to give evidence, but it declined.